Great Day at 4th Annual Cheval Cares 5K Family Fun Run! 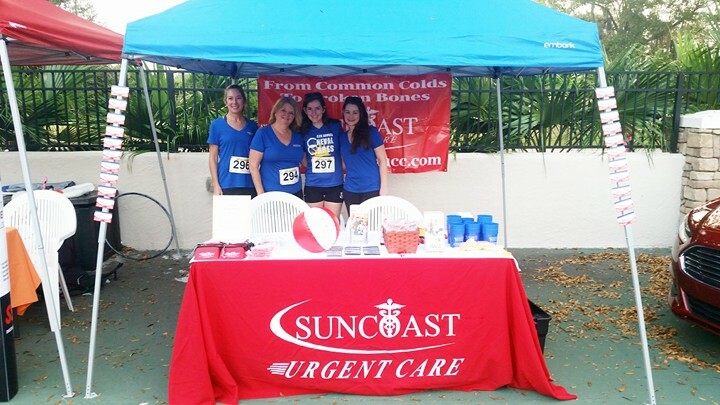 Suncoast Urgent Care Centers, LLC was thrilled to once again sponsor Cheval Cares 5K Family Fun Run to benefit The Pediatric Cancer Foundation. Thanks to our wonderful team members, Suzy, Jennifer, Tabatha and Jamie for participating. To Molly for her support and to Cheval and The Pediatric Cancer Foundation for a fun day for an important cause.